£38.86 each & FREE Delivery in UK. 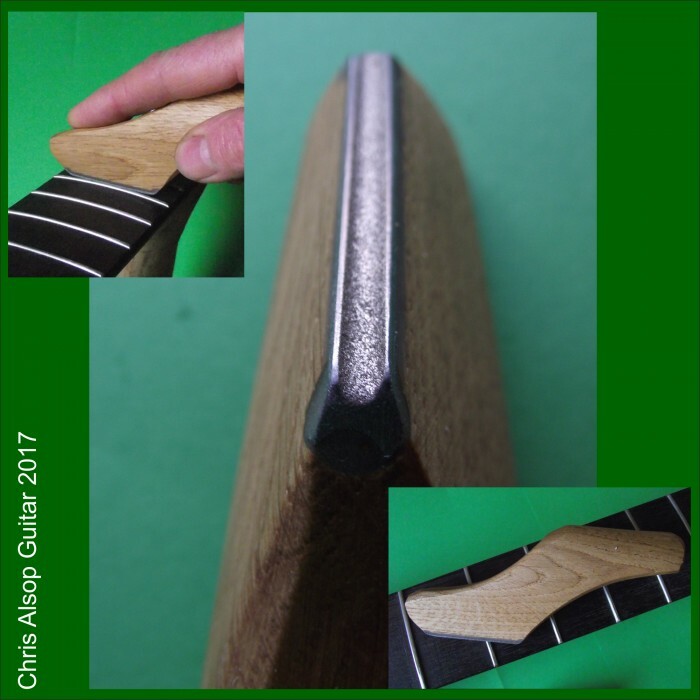 The fret leveller is a flat diamond file with a permanently bonded English Oak handle for guitar fret levelling. 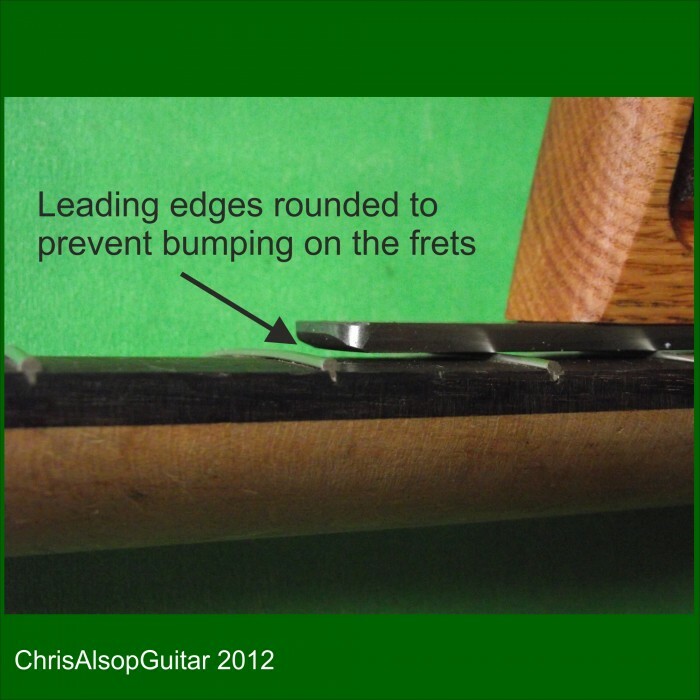 It is designed to be guided along the fretboard with the file cutting a level onto the tops, or crown, of the frets. The fret crowning file is a diamond file with a concave profile which is mounted in shaped handle made of English Oak. These files last for many fretboards : diamond is the hardest known substance known and many little diamonds are embedded in a surface plating. As the surface wears new diamonds are exposed. They are equally long lasting on stainless frets and normal nickel silver frets. The file is permanently attached to the handle. An excellent finish results and and a full polished fret is quickly obtained by using sandpaper of about 1000 grit, 1500 grit and then micromesh of 8,000 grit or over. 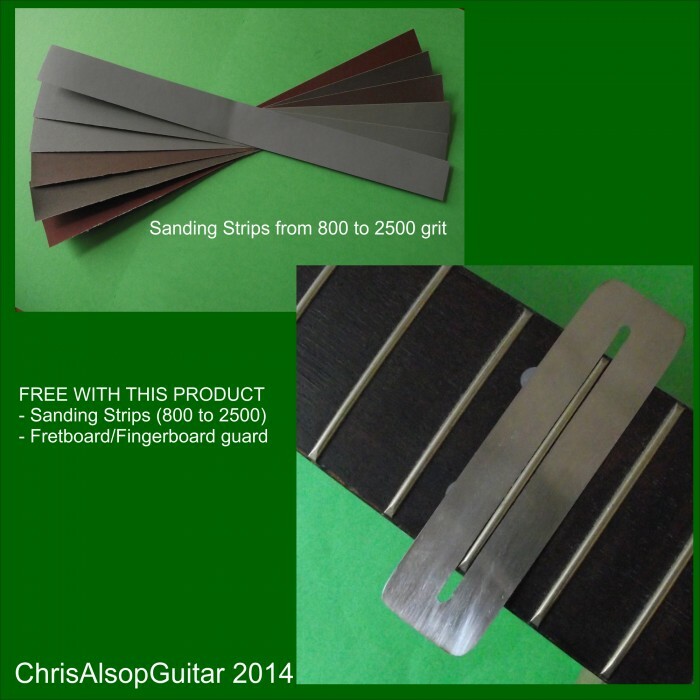 The best job is done by going through 800, 1000, 1200, 1500, 2000 grit and then 8,000 micromesh - its only a couple of rubs with each and if you use a spring steel strip to protect the fretboard then the paper glides across the surface of the fret and strip easily. 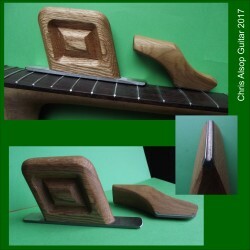 As always, before using any type of abrasive tools on a guitar it is recommended suitable masking (such as fretboard protector strip) is used to protect the fretboard wood and other parts of the guitar. • File Length: 150mm which is ideal for levelling frets over large sections of the fretboard and will last well. 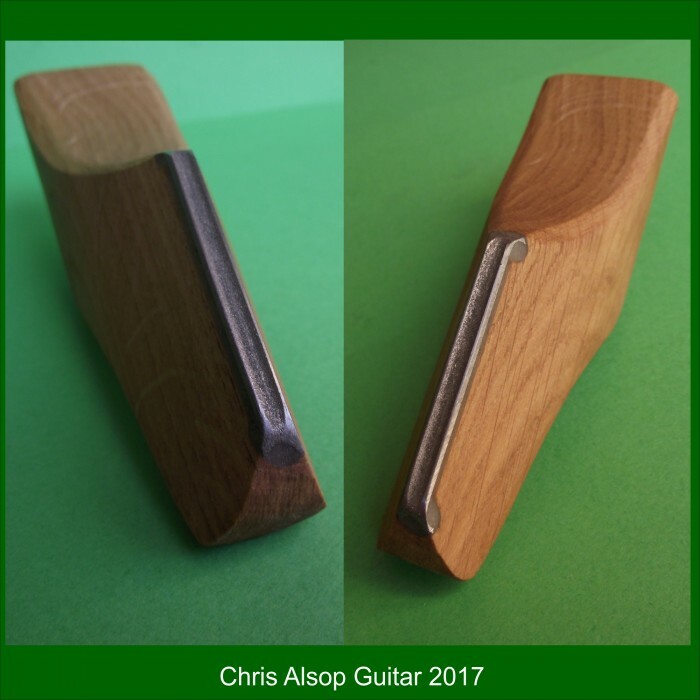 We have used a Oak handle whcih we use in many of our other fretting tools. Diamond Files are really the best surfaces developed by mankind for abrasion - the resulting surface is by far the smoothest hand filed surface possible - hence less finishing and polishing! • Very comfortable to hold the file. 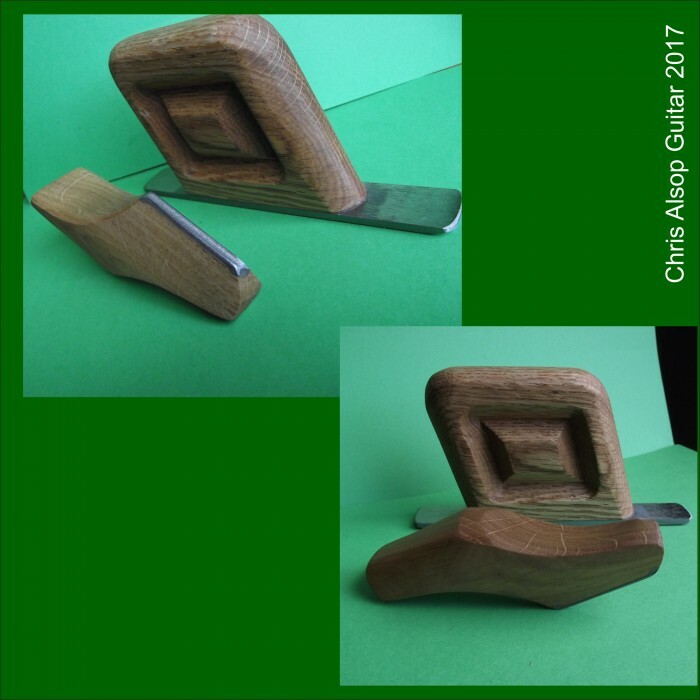 • The file protrudes from the holder so you can see how the cut is progressing by looking directly down at the cutting face where it meets the fret ends. 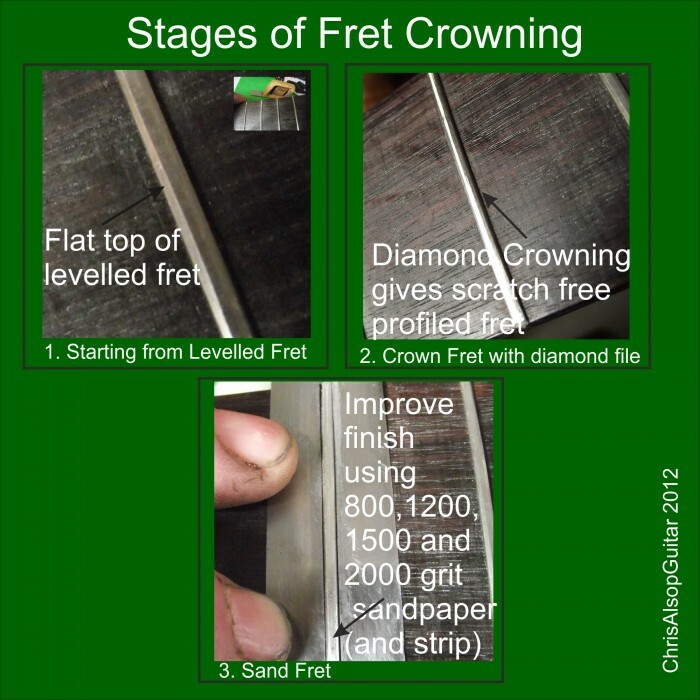 • All edges of the file are rounded so - providing the fretboard is protected - these files can be used along the fret to reshape the crown after levelling. 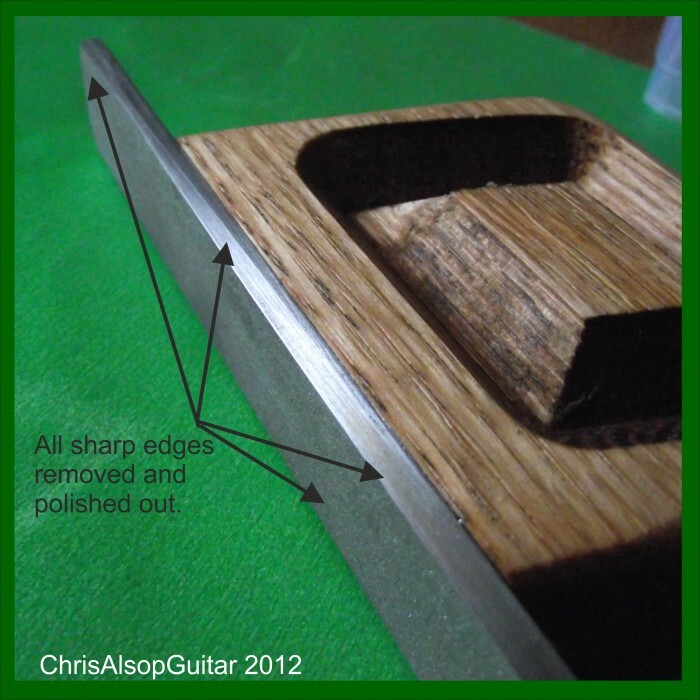 • Concave cutting file to match fret profile. • Diamond files cut equally well when moving forwards or backwards with NO chatter.